Alpinestar Jacket XL. Condition is Used. Dispatched with Royal Mail 2nd Class. Jts leather jacket. Armoured keprotec schoeller. Size Small 38. Pit to Pit measures 40" approx. Back length 20" underarm length 18"Condition is Used. Dispatched with Royal Mail 2nd Class. Mens Stein Leather Motorcycle Jacket. Condition is Used. Dispatched with Royal Mail 2nd Class. Too small for me now need it gone ASAP!!! Brown Leather Motorcycle Jacket by BKS. Armour in the shoulders and elbows, with a pocket for more in the back. Alpinestars waterproof internal lining construction ensures effective wet weather performance. 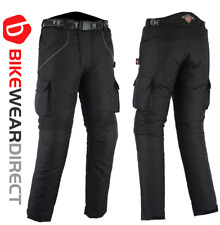 - 600 Denier Polyester fabric with PU coating construction for strength and durability. - Front center single flap closure system to improve waterproof performance. In pristine clean condition. 4 deep external zipped pockets, zipped inner chest pockets. Press stud & zipped cuffs. Good condition Brando style leather jacket with no damage. Zips and lining in good unmarked condition. It’s a snug 40 inch chest. DAINESE GORETEX. FANTASTIC CONDITION. SIZE 54 (UK - XL). MOTORCYCLE JACKET. This jacket is used, but in 100% perfect working order. Alpinestar Monster Size L. Condition is Used. Dispatched with Royal Mail 1st Class. A waterproof Spada Motorcycle Jacket, in good condition - small mark on the back of the left sleeve, can be seen in photo. Size: XXL Dispatched with Royal Mail 2nd Class. From a pet free and smoke free home. DAINESE ELBOW AND FORE ARM INSERT ARMOUR FOR MOTORCYCLE JACKET. New listingJoe Rocket leather jacket. Size 50. 48-49” chest. Jacket is also compatible with the BMW Motorrad. 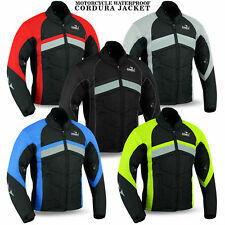 Waterproof enduro jacket, also suitable for touring. waterproof, making it perfect for enduro and touring. Two waterproof outer flap pockets, two. Jacket details. Frank Thomas Size 44. Condition is Used. Dispatched with Royal Mail 2nd Class. Frank Thomas Lady Rider. Ladies Leather Motorcycle Jacket Size 14. Marked as a size 14, but my wife reckons that it is nearer a 10/12, especially if you are bigger up top. 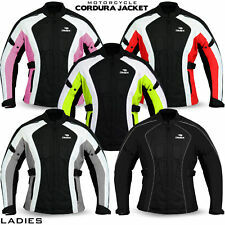 Motorcycle jackets are specialist items of sporting apparel, which foremost protect the wearer during motorsports and motorcycling. 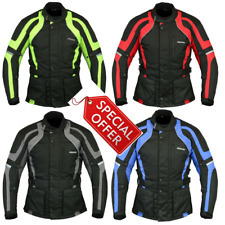 Motorcycle jackets are available in men’s, women’s and unisex options and are produced by popular and iconic brands such as Alpine Stars, Dainese and Triumph. When selecting a new motorcycle jacket your three prime considerations should be safety, style and fit. Your new purchase should be a snug fit with your usual clothes worn underneath. It pays to remember that most are made in durable leather, which will ‘give’ with wear over time. Motorcycle jackets can also be manufactured in breathable denim and textile options, which will also offer a certain degree of protection while keeping the rider cool. Most leather motorcycle jackets have either a full or half-length zip running about the circumference of the waist, allowing for the addition of leather trousers. Motorcycle jackets are very often safety graded to a European standard and will state that they have CE (Certified European) Armour. This indicates that areas such as the jacket’s elbows and back protector meet a satisfactory standard of limb protection. This extra level of protection is designed to shock absorb and keep the wearer unscathed in the event of a rider sliding down a road during the unfortunate event of any accident. When considering what jacket to buy, check that the armour will sit right on your body frame and doesn’t dig in when you move your arms. 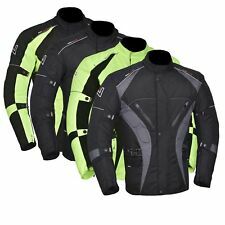 To gain the best level of protection and practical benefits a jacket has to offer a motorcyclist should select a jacket to match their riding style. All will offer varying levels of protection, from high to low and be both waterproof and windproof, with some including removable thermal linings. Racing and Sport jackets are cut in a ‘race crouch’ position, with pre-curved arms and seams and are often emblazoned in the manufacturer’s sporting logos. Comfortable Touring and Urban jackets are of a looser cut and have multiple pockets inside and out. Cruiser jackets are a traditional biker jacket design classically made in leather.